Asoka Pieris, respected industry leader with a wealth of experience, plans to advise entities on strategy and in the execution of key programs. 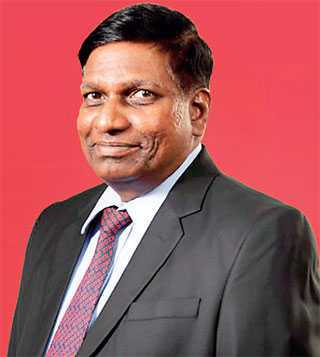 Pieris was the Group Chief Executive Officer (CEO) of Singer Group in Sri Lanka, from July 2010 to October 2018, having led the country’s largest retailer, financier, and manufacturer of consumer durables for over eight years. He has also been named among the nation’s leading Business Leaders in 2012, 2015, 2016, 2017, and 2018 by Lanka Monthly Digest (LMD), the prestigious business magazine. Pieris rose to the position of Group CEO, having joined as an Accountant. He also has overseas working experience in Hong Kong as the Vice President (Finance) of Singer Asia Limited for two years, and in Singer Jamaica. He has been a Director of public quoted companies in Sri Lanka, Bangladesh and Indonesia and a Director of non-quoted companies in India and Hong Kong. Pieris is a member of the Institute of Chartered Accountants of Sri Lanka and a fellow of the Chartered Institute of Management Accountants, UK. He won the Accounting and Finance Prize and the Auditing Prize at the Chartered Accountants Associate Level 1 examination. Mentoring youth, he has also been a Lecturer for Chartered Students in Auditing and Costing. He has volunteered his services on many fronts: as an active Rotarian since 1997 and a Past President of the Rotary Club of Colombo North; as a Member of the Council of Institute of Chartered Accountants of Sri Lanka; as a Member of the Executive Council of the Sri Lanka Retailers Association; and as Convener of the ‘Colombo International Shopping Festival’ and ‘Shop in Sri Lanka’ Projects.